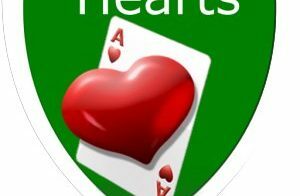 There must be some people who have not played the famous Hearts Card Game for a long time or must have forgotten the rules. We shall help you to remember the game. Yes! Let’s move down to the memory lane when this game was one of the most liked childhood game. These classic card games are entertaining and is the best choice to have a good family time. It’s time to get back to the childish days and plan a family gathering sitting beside a campfire and playing this old game. Let’s not waste time and get through the tricks, rule, procedures to play the game. Objective: Player with the lowest points is the winner. Each player gets 13 cards. For a set of 3 players, two diamond cards are removed from the deck 52 cards.With this each player receives 13 cards each. For 5 players, two diamond cards and two club cards are excluded, leaving 10 cards for each player. For 6 players, two and three of diamond cards and three and four club cards are discarded, keeping about 8 cards to each player. If you have a big family of seven to play, then two and three of diamond cars and three club cards are removed, with 7 cards left for each player. This is a tricky game which requires some really good skillful players. The game is quite simple and fun to play. For a set of 4 players, the player first scans all his cards and starts planning a strategy to get rid of the dangerous cards of all. Each player needs to choose three cards and pass it clockwise to his opponents. The next player repeats the same process and maintains the sequence. The player having the two of club cards is expected to start first. All the players should follow suit. In case if he doesn’t have the desired card, he can play any card he wishes. The player who plays the highest card of the suit, is announced the winner of the trick. He is the person to re-start the game. It is to be remembered that the player having a ‘Broken Heart’ cannot lead with a heart. The term Broken heart means the heart card be led till the use of the Black Maria. The Black Maria can be played anytime. The player having the Queen of Spades, gets lucky by getting a 13 point penalty. The penalty point is dependent on availability of the lowest to the highest i.e. Ace, King or Queen of any suit. So, make sure you have the right trick in your mind. The game may be played for a maximum 100 points and a minimum of 50 points. All the players can decide a specific score and if reached ends the game. Remember, the score needs to be the lowest not the highest, unlike other games. Let’s understand the nuances of calculating the score. This rules are little bit similar as bunco rules. A player having a heart card earns 1 points. The Black Maria gives a score 13 points. The Player who has all the 13 hearts and the majesty Black Maria, has the benefit to turn the game upside down. This player has two choices; first either add 26 points to the score points of all his friends. Secondly, he may subtract 26 points from his own final score earned. The person who has won the 13 hearts and the Black Maria is known as shooting the moon. Guys! Now that you know the process, don’t waste time. Cherish your childhood moments with your best childhood buddies or your family members. These classy ruless like canasta game rules and crazy 8 card game cannot be forgotten and need regular practice. Start distributing cards and let there be a hearty gaming experience. Canasta Rules – How to Play Canasta Card Game?